About Simone: I started working as a doula and childbirth educator in Santa Fe, NM and I am now living and working back in New Jersey. I am also a massage therapist, placenta specialist, and Dancing for Birth instructor. I have two amazing boys. One was born in a hospital in NJ and the other was born at home in NM. Two very, very different experiences. In addition to my birthwork I am also a Dating Abuse Prevention Educator. I work with a doula partner and we can be contacted through our website www.douanj.com. One day I will also be a midwife. I was inspired by doula work a few years before I ever found out I was pregnant. When I began my pregnancy journey I hired a doula before I found a doctor or told anyone I was pregnant! There was just something about the idea of being able to support and empower women that was appealing. I had NO idea it would lead me to where I am today. My hospital birth experience was less then ideal to say the least. I didn’t realize just how traumatizing it was until I had experienced a homebirth. It took me a few years after my first son was born to actually start working as a doula but it has been full steam ahead since then, it has been about six years since I attended my first birth. I eat, sleep, and breathe maternal and child health. I think I identified with the word radical all of my life. I have always had this radical spirit-the kind of spirit that gets other people to say “oh boy there she goes again.” I just can’t help it-I see something that is important to me and that is it. For so long I felt like I had to walk this fine line. Many doula trainings out there teach you to be the opposite of radical, to be as middle ground as you can possibly be. I realized that is not me. 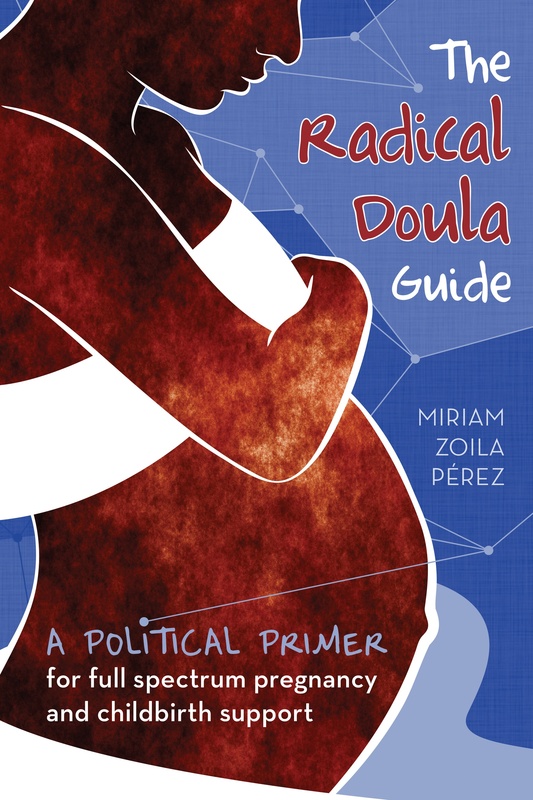 The concept of putting what I associate with the word radical and what I associated with the word doula together was a huge eye opener. The term radical doula helped me to realize I could put all that I am passionate about together, to begin to work all along the spectrum. I think it also offers the ability to connect your political beliefs to the work you love. I have never been given the freedom to do that before. It is about choice. It is about education. It is about information. It is about equality. It is about empowerment. And it is about the truth and not believing everything you are told. It is about asking questions. Watching a woman really come in to her own power throughout the process. The earlier we get to work with mamas the better. Knowing that what she did was amazing, and knowing that she could do it all by herself. Knowing that her body knew how to grow, birth and feed a baby. Watching that sense of trust and faith unfold. Then being able to watch that carry over into parenting-it is priceless! FEAR! The fear women are fed on a daily basis. If we could get rid of that fear I think things would be vastly different then they are now.